Simply designed, the hotel is located in the area of Tschaval, at an altitude of 1850 meters. It is found 4Km from Gressoney la Trinité and can be reached by taking the Strada Regionale 44 towards the old alpine country of Staffal. The road ends here: at the foothills of the Monte Rosa, which bewitches with its unique beauty. Rosa in Italian, or pink in English, translates as de Gletscher in the traditional language of the Walser region. 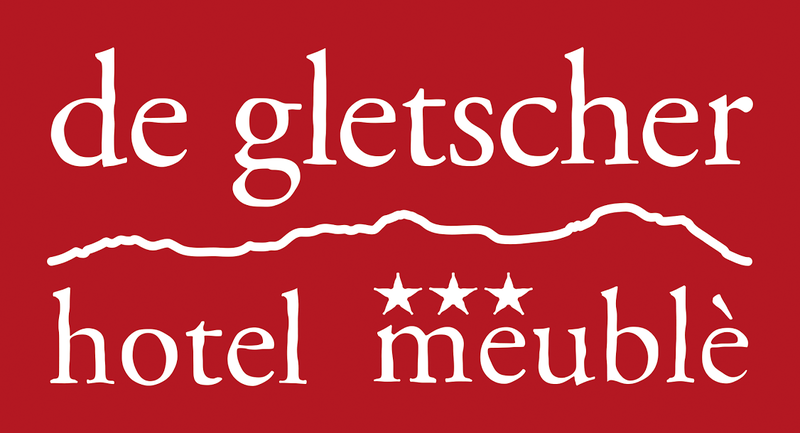 Though small, the Hotel de Gletscher is dedicated to those who adore the mountains yet don’t want to sacrifice comfort. The hotel allows its guests to reach the Monte Rosa ski area on foot or directly on skis. It was opened on 21st December 2009 as a meublé Hotel, where one can enjoy both discretion and elegance. The coming together of architecture and nature. From the large terrace, which gets the sun right up until the last hours of the day, guests can admire the stunning peaks of the Rothorn and the Testa Grigia, towering over the skyline as if you could reach out and touch them. Homely yet spacious, the Hotel de Gletscher is the place to relax and regenerate the senses no matter what the season.